I moved out of my apartment two days ago. One of the last things I did to prepare for my year on the road was to give away my fridge. I gave it away for free to a stranger by posting it on Gumtree (an Australian based trading site). Despite it being a very busy week I made the effort to clean the fridge thoroughly before it was collected. I removed every shelf and washed it, wiped all the inside and outside surfaces, cleaned every food crumb from the seals. I imagined how much the person receiving the fridge would appreciate that it was clean and ready to use. 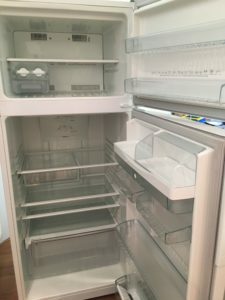 When the task was complete I silently thanked the fridge for the service it had provided me (I really did – it has been part of my ritual of letting go of most of my material possessions over the past two months). I won’t pretend to have been fully present while cleaning the fridge. I was thinking about why it was important to me to clean the fridge. In part it was personal pride and wanting to make a good impression on the new owner. The Golden Rule was also in operation – treating the new owner as I would like to be treated. However, my sense of connection with this chore went beyond that. 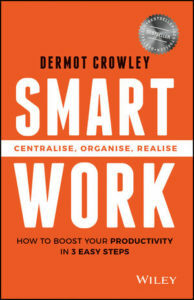 I was reminded of two books that have influenced how I approach both everyday activities and my work. In my early twenties I read Zen and the Art of Motorcycle Maintenance by Robert M. Pirsig for the first time. Using the narrative of a fictional 17 day motorbike journey, Pirsig explores the meaning and concept of quality. It was probably my first exposure to mindfulness – to being fully present with a task or activity (despite my mind wandering while I cleaned the fridge). I recall being struck by the extent to which the main character was in the moment with not only the task of maintaining his motorbike, but other experiences on his journey. He was also intensely interested in the detail of things he was working with. I’m unsure whether the book shaped my values or resonated with existing values. What it clarified and solidified for me is a sense of care and connection with the projects and tasks that I take on. If I take things on I want to do them well and put a lot of effort into being of service and delivering valuable outcomes in my work. Linchpin by Seth Godin is the second book I was reminded of. I read this more recently, shortly after it’s release in 2011. The central idea in Linchpin is that anyone can make a significant impact regardless of their position, how much they like their job, or any other factor. Linchpin is about the impact of looking for the opportunity to make a difference, to make a contribution of some sort simply because you want to bring your best self to the things you do. Every now and then I get great service in a shop, or a bus driver that drives extra-smoothly and greets passengers in a friendly way, or coffee that has clearly been made with care and attention to detail. In a world where most service is ordinary it’s not hard to stand out simply by caring about what you do and seeking to do it well. An attitude like this creates opportunities. The themes of these two books are similar, although expressed in different ways. I felt content as I looked at the clean fridge and thought about what it symbolised.